Eleni A. Dimitropoulou joined Temmerman, Cilley & Kohlmann, LLP in 2017. She represents individuals, families, and trustees in the areas of estate planning, trust and estate administration, probate, trust and estate litigation. She also provides assistance in conservatorship and guardianship matters. Ms. Dimitropoulou works with clients to help them accomplish their testamentary wishes. Her estate planning practice includes the preparation of revocable and irrevocable trusts, wills, durable powers of attorney, advance health care directives, and related estate planning documents, including revocation of wills for clients during pending marital dissolution proceedings. Her trust and decedent’s estate administration practice includes representation of trustees, personal representatives, and beneficiaries in all aspects of trust administration and probate. She also assists trustees and personal representatives with the preparation of trust accountings and estate tax returns. Ms. Dimitropoulou holds a B.A. in Translation and Foreign Languages from the Ionian University in Greece, and speaks Greek, French, Italian, Spanish, and Mandarin Chinese. She received her J.D. from Santa Clara University School of Law in 2015. 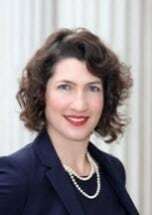 During law school, Ms. Dimitropoulou worked as a judicial extern for the Honorable Edward J. Davila of the US District Court for the Northern District of California, as well as in the Law and Motions Unit of the Santa Clara County District Attorney’s Office. Prior to joining Temmerman, Cilley & Kohlmann, Ms. Dimitropoulou practiced in the area of employment law. Ms. Dimitropoulou is admitted to practice law in the State of California, and the Northern District of California. She is a member of the Santa Clara County Bar Association and the Silicon Valley Bar Association.